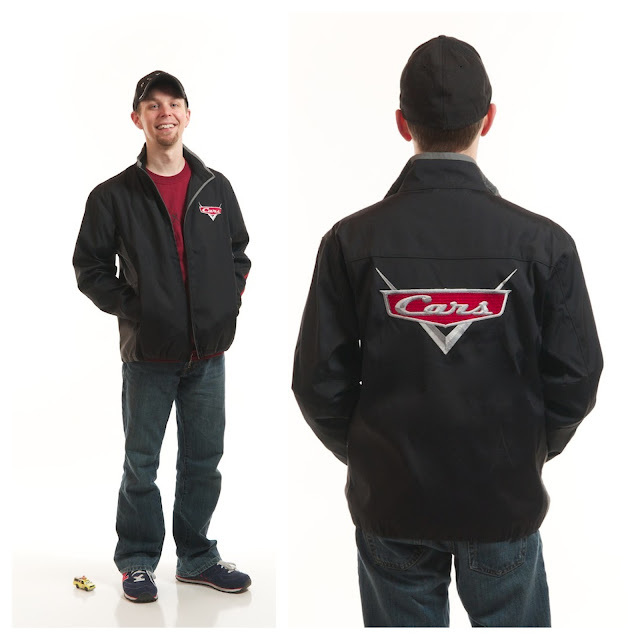 Since we've posted so frequently about the "Artists Help Japan" Pixar auctions we thought we'd update a few photos of the Cars Crew Jacket auction that we won. I couldn't have been more giddy than when the mailman knocked on our door yesterday afternoon - I went running outside in my socks and grabbed the box with great anticipation to open my new prize. 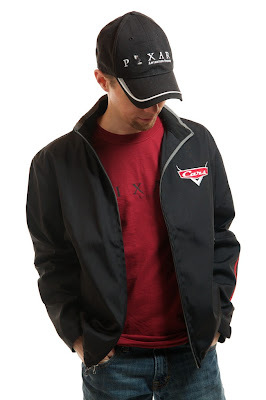 Upon opening the box, the jacket was immediately slung over my shoulders and it fit like a glove. So, this is our little piece of Pixar that we have now - we get the satisfaction of owning something exclusive from Pixar and helping out a great charity. Also included in the box was a thank you note from none other than Dice Tsutsumi. With so many reasons to grab a slice of Pixar history - what items have you won - or what items are you drooling over that you have to have? Let us know in the comments below - we're eyeing a few more items ourselves.